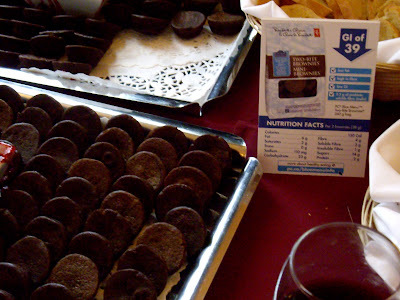 Weighty Matters: President's Choice Miracle Health Brownies! President's Choice Blue Menu Two-Bite Brownies! "Good For You never tasted so good! 2.5g of prebiotic soluble fibre from chicory root inulin per 38g serving"
"A healthy diet low in saturated and trans fats may reduce the risk of heart disease. 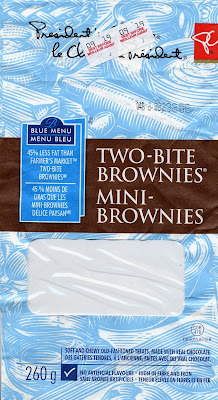 PC Blue Menu Two-Bite Brownies are low in saturated and trans fats"
So I of course immediately ate the whole bag - I don't want heart disease! UPDATE:Those PC guys are no dummies - they're expert marketers! So who are they marketing the miracle health brownies too? 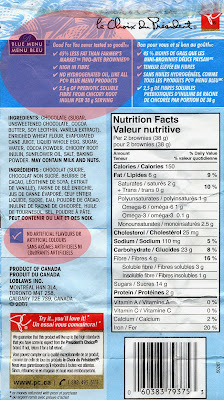 Well according to dietitic student and blogger Vincci (check out her blog Ceci n'est pas un food blog (Not a Food Blog)" there was a huge tray of them at the most recent Dietitians of Canada conference alerting everyone that these miracles have a GI index of just 39! Thankfully we have Vincci out in McGill teaching her classmates how to think critically about the foods they're being asked to market.